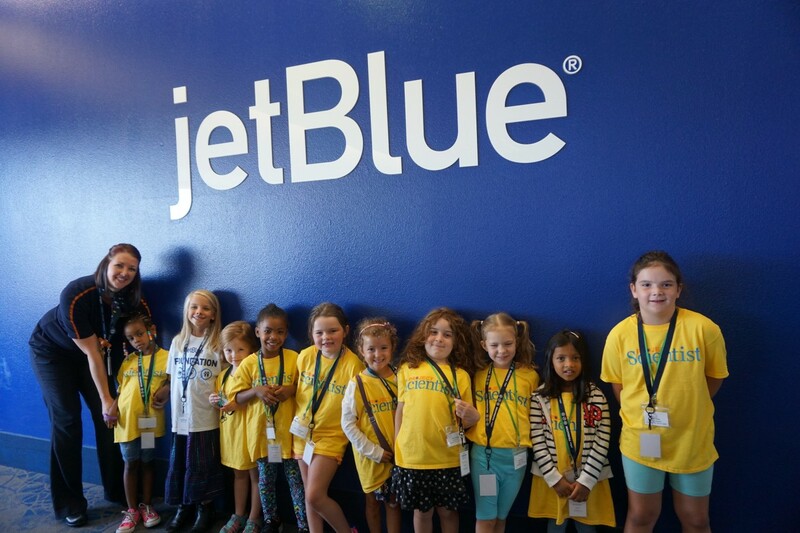 It’s Physics Week at the Project Scientist Summer Academy Camp and 75 students— all girls, ages 4 to 12—are going to see a real-world example of physics in action: with JetBlue at Long Beach Airport in Southern California. While the JetBlue plane will remain stationary, the girls will see first-hand what it takes to fly from point A to point B, at 35,000 feet. 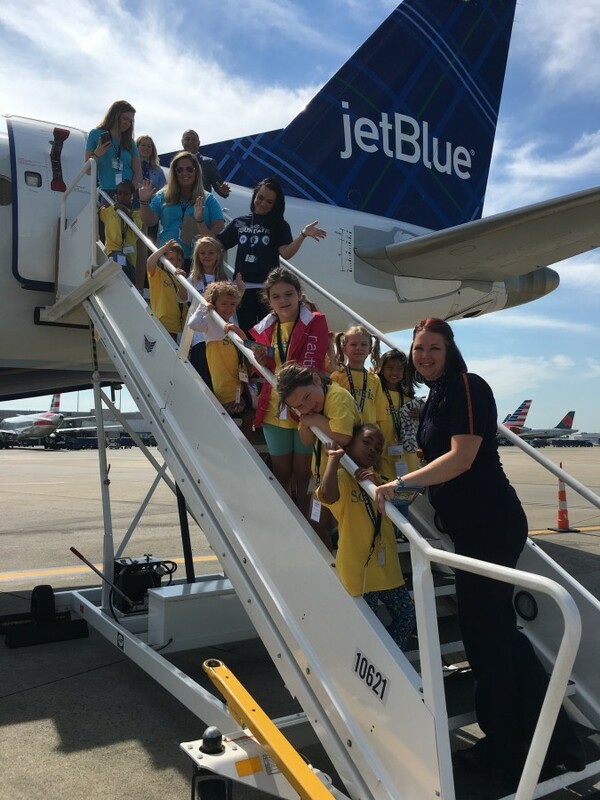 From the ticket counter, to the baggage area, to aircraft maintenance, the campers toured JetBlue’s operation and met with crewmembers from all areas of the airline. 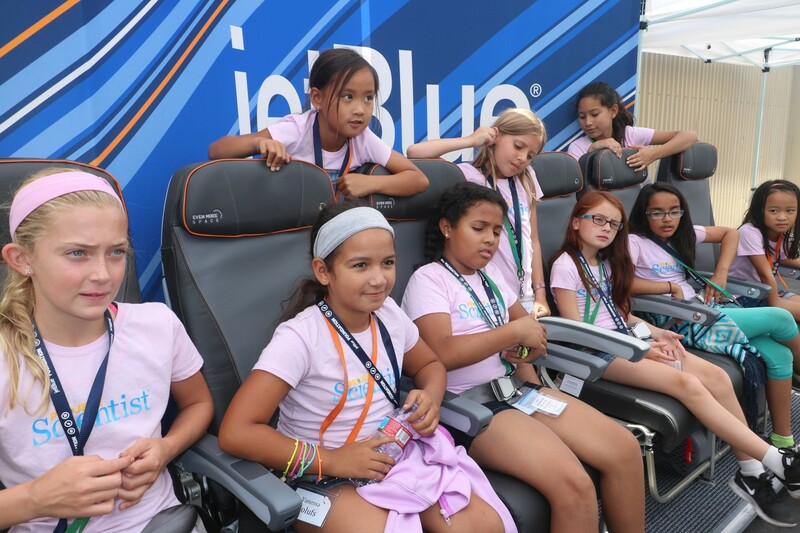 During one part of the tour, the girls were even able to take an up-close look at a JetBlue Airbus 320 aircraft. As the girls boarded the aircraft they looked in awe at the many knobs and levers. 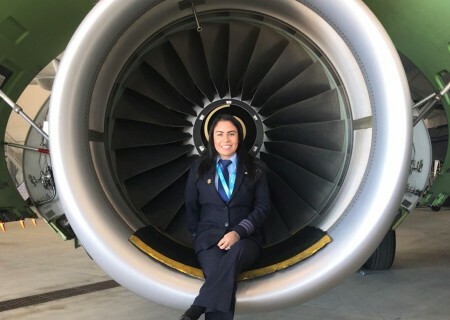 They asked questions like, “How many buttons are on a JetBlue airplane?” or “How many bags fit into the belly of an aircraft?” Crewmembers from JetBlue explained exactly what goes into making each flight possible as the girls listened with intrigue. 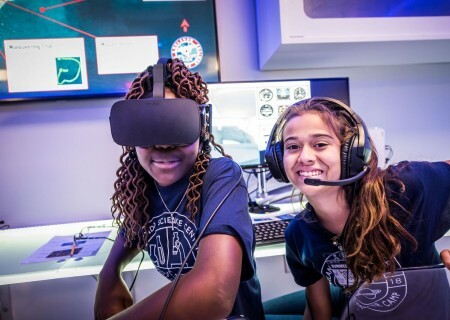 The JetBlue experience was one of several “STEM expeditions” organized by Project Scientist, a 2016 JetBlue Foundation grant recipient. Through its engaging, hands-on curriculum and partnerships with top companies and universities, Project Scientist empowers girls who show passion and talent for science, technology, engineering, and math (STEM). In supporting Project Scientist, the JetBlue Foundation works to spark a passion for STEM especially among girls, knowing that a budding interest in science is critical to nurture at an early age. By showing these campers first-hand where a life-long interest in STEM can lead, the Foundation is laying down the groundwork for the next generation to take off. 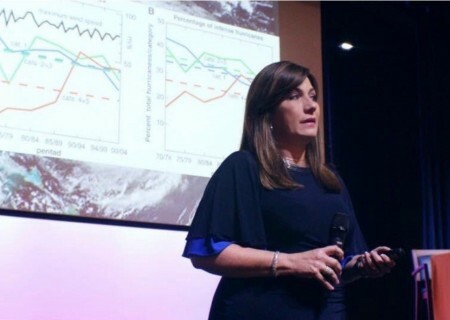 Meteorologist and JetBlue Foundation grantee recipient Ada Monzon discusses the importance of using science to educate and build stronger communities across Puerto Rico.